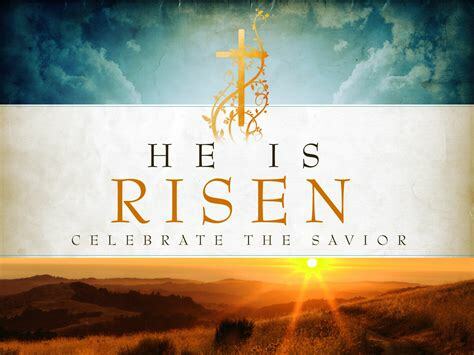 A good morning to you on Resurrection Sunday! Midst the busyness of today with special meals, chocolate, eggs, and delicious delights, may we remind ourselves of the true meaning of this holiday. These verses from Isaiah 53 were transformed into my most favorite sacred choral piece composed by John W. Peterson. Do you have this assurance today? 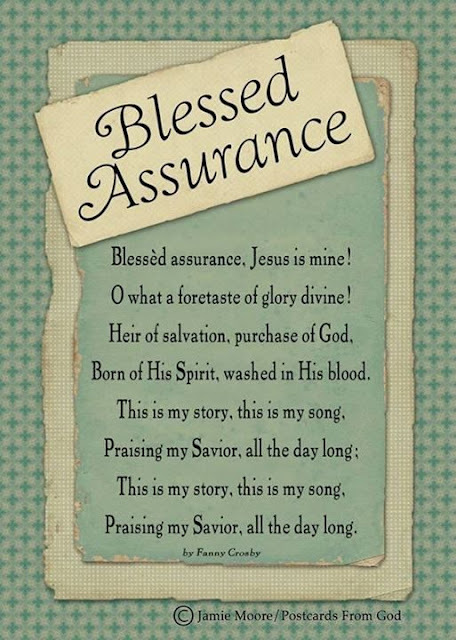 The assurance of salvation as penned by Fanny Crosby, the blind hymn writer (see my previous post here for a brief history of Fanny Crosby). 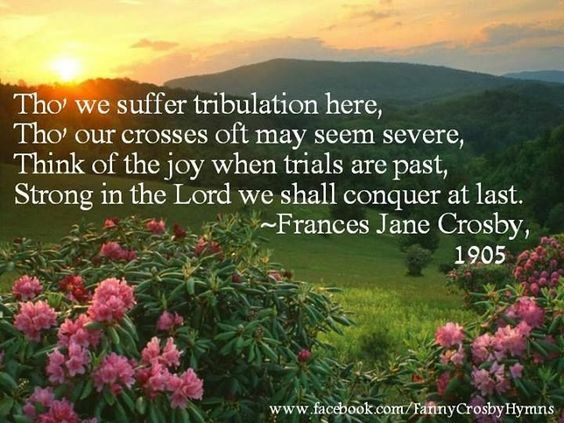 Her faith in Christ assured her of where she is now - in Heaven - just as it assures me of my eternal destiny. Is it yours? The photographs of my Bible and the pearl and sword necklace are taken from my Easter 2017 post. I encourage you to read it (here) if you haven't already. I gave a review of a book that contains an amazing true story! The necklace is available in my Etsy shop (here). Have a glorious Easter Day! But we see Jesus, who was made a little lower than the angels for the suffering of death, crowned with glory and honor, that he, by the grace of God, should taste death for every man.